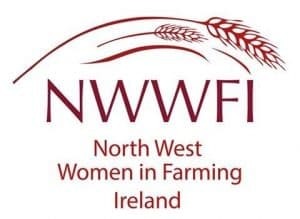 In this guest blog, Hannah McNelis, a recent University College Dublin (UCD) Agricultural Science graduate, and co-founder of the ‘North West Women in Farming’ group, tell us about the group’s on-going activities and its progress since its establishment in May 2017. I originally set up the North-West Women in Farming group with Donna Maskery in May 2017 upon returning home to Donegal after graduating from UCD and realising that there were very little resources or supports in my area for women involved in farming. 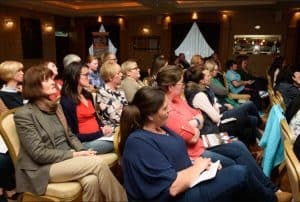 The group was officially launched at our inaugural meeting on the 19th of May 2017 in Ballybofey, Co. Donegal with 55 women in attendance. There were also a number of speakers present on the night to discuss a diverse range of important topics relevant to women in farming, as well as broader issues relating to Irish agriculture. The North-West Women in Farming group aims to bring together a network of women involved and/or interested in farming. By creating a community where women can meet and engage with likeminded others, the group can tackle topics relevant to the family farming, provide training in areas related to the farm to improve the future sustainability and progression of their farms, subsequently strengthening the voice of female farmers in the North West and also very importantly create a social setting for women in the region. The group have also held a number of other meetings to date. For example, taking into consideration that farm safety was an urgent topic the group wanted to address, we held two important farm health and safety walks in July 2017. These walks were facilitated by the HSE and were held in Carndonagh and Donegal Town to facilitate all members in the county. 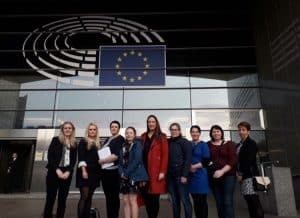 Most recently, with thanks to Marian Harkin MEP, nine of our members travelled to Brussels, Belgium to visit the European Parliament and meet with Commission officials in October 2017. Our group was very fortunate to meet with a number of other Irish MEPs including Mairead McGuinness, Seán Kelly and Luke Ming Flanagan and this provided us with ample opportunity to raise important issue relating to farming in the North West such as weather and flooding, direct payments and inspections, decline in suckler cow farming and CAP 2020 and reform in legislation. 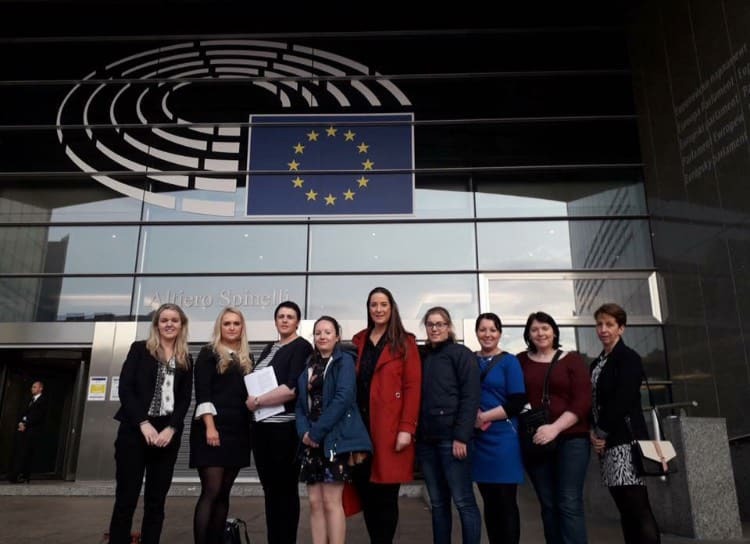 Whilst in Brussels, we were also very fortunate to meet with an associate of Commissioner Phil Hogan who provided us with an abundance of information on women in agriculture across Europe and the funding available to women involved in farming. We also discussed issues affecting the rural communities in Ireland, in particular the lack of broadband in rural areas and how this affects the small start-up businesses in these areas. Going into 2018 we aim to continue to gather numbers and bring together the community of women in Co. Donegal and the North-West region. 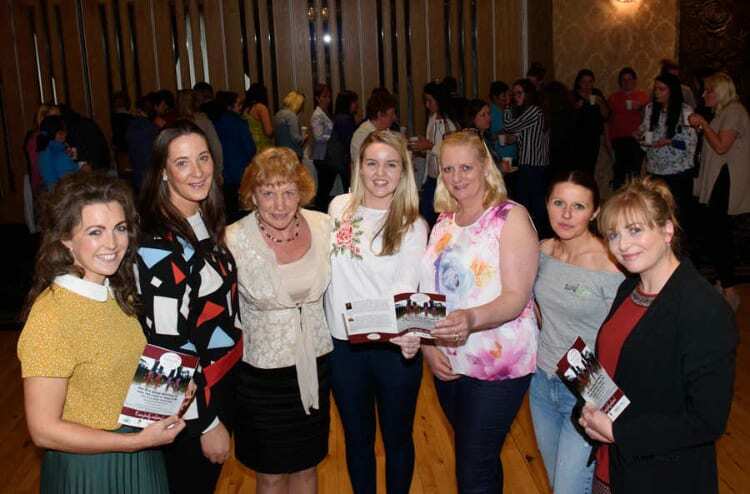 Our group provides an excellent outlet to women in rural communities, those who farm in isolation, those who care for elderly parents and those who regularly attend the mart and other farming events and are the only female present. The group creates an environment where women can express their views, build their knowledge and socialise. We welcome all women in the region interested in being a part of our group, and we look forward to a very productive and positive 2018. If you are interested in writing a guest blog post for the National Rural Network on the topic of Farm Viability, LEADER or EIP-AGRI to be featured on our website and various social media pages, please email Shane Conway, Postdoctoral Researcher with the NRN for more details: shane.conway@nuigalway.ie. The NRN are always looking to highlight and promote innovative initiatives that can help inspire people in the farming community and in rural areas to maximize the success of the objectives set out in the Rural Development Programme 2014-2020.